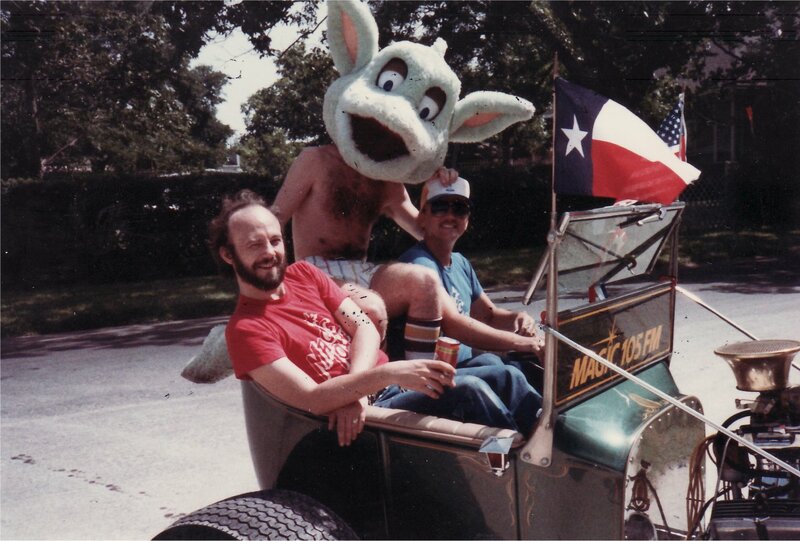 Glen Martin, Bill Pouge and the Magic Dragon heading for the July 4th Parade. Photo courtesy of Glen Martin. Copyright 2017 by Glen Martin & SanAntonioRadioMemories.com – All Rights Reserved.